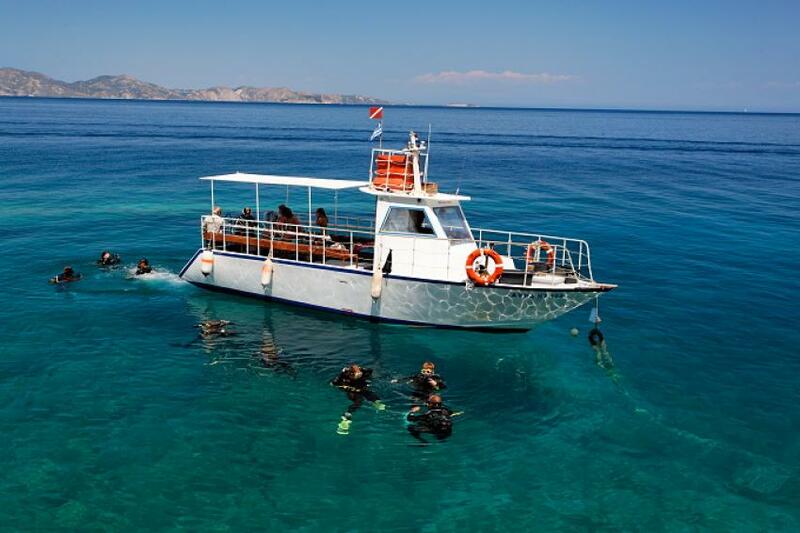 Dive Boat Avra, the 10 meter long (“fresh breeze"), seats 16 divers comfortably, 2-4 times a day and depending on interest, even at night, (1-3 night dives per week) they will be taken by Captain Jonio to 20 different dive sites. The Avra is powered by a 135 PS strong diesel engine. Equipped with maritime and satellite earth station and an automatic emergency call system, which we hopefully never have to use, everything is very well organized for an emergency. 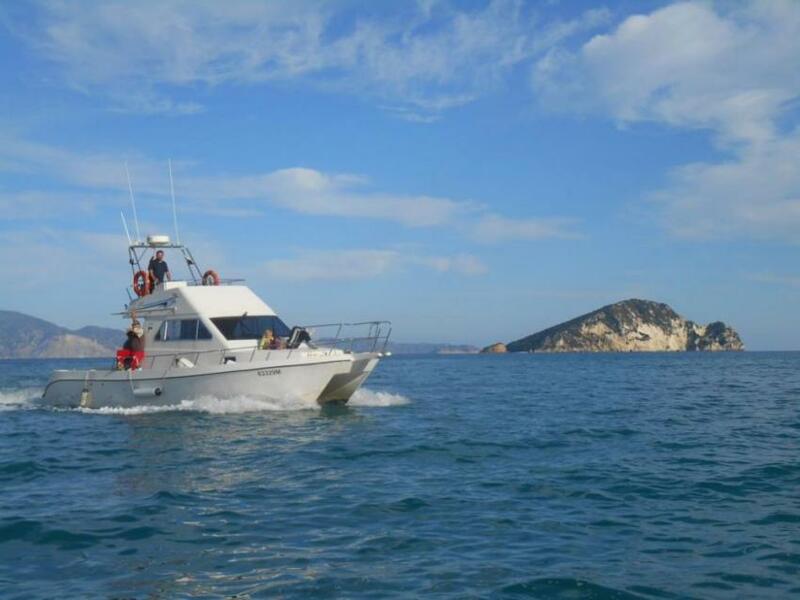 Convenient loca...Continue readingtion to the dive sites and a cruising speed of 10 knots, allows us to reach the sites safely and comfortably in only 15 - 30 minutes so that the family does not have to give the whole day if only mum and dad are diving. The rear part of the ship is equipped with a sunroof, lots of necessary shade, and also with a swim platform and ladder, offering you a convenient entry and exit way so that you will be spared uncomfortable gymnastic exercise. Below deck there is a toilet and small storage space for forgotten fins, masks, bottles, etc. Small and large guests may also, if there is enough space on board accompany us, swim or snorkel in the quite bay or sunbathe on deck during the dive. The newest boat in the Nero-Sport family is launched 2015 and will carry our divers to completely new and virgin dive grounds, waiting to be discovered around Zakynthos. 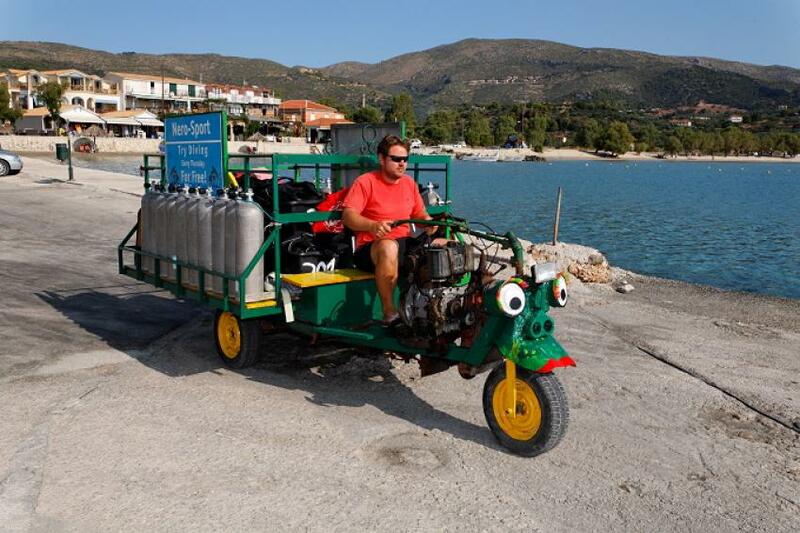 The 12 meter long and 4 meter wide motor catamaran "Cat Cat" will cover the following areas: The 1989 sunk ferry "Zakynthos", the "Strofades Isles" and the North of Zakynthos. Apart from hot and cold drinks on offer, the BBQ will be cranked up between your dive intervals. The number of participants has been limited to 10 – 12 persons, to ensure that it does not resemble a mass dive event. Catamaran "Neraki." 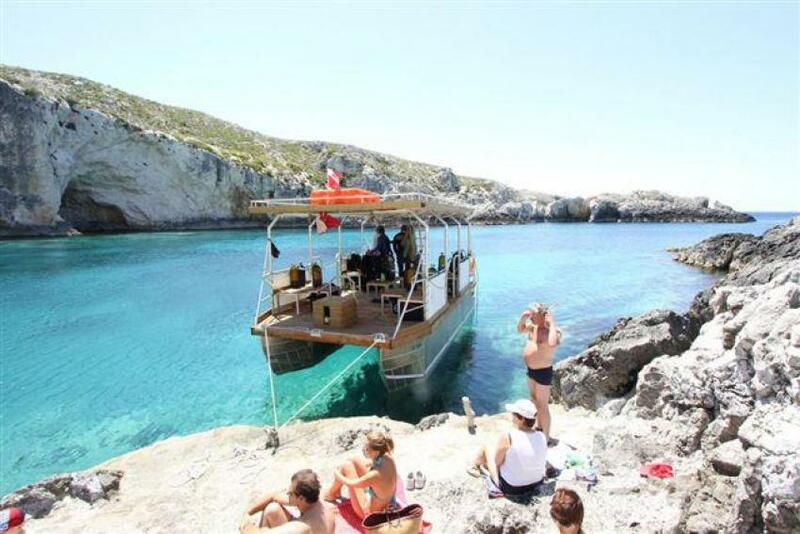 As the only dive center on the island we take you with max.10 divers to the national marine park of Zakynthos or to absolute unspoilt and fantastic dive sites in the North of the island. The Seven Meter long ship is powered by a 135HP strong 4 - stroke outboard engine and offers generous space and a sun roof for relaxing and adventures day trips.